Proper taxonomic names, with formal suffixes, can be confusing at the best of times. But when they include identical prefixes their meaning can be further complicated. For example, to what taxonomic group does the colloquial term ‘plesiosaur’ refer: Plesiosauria, Plesiosauroidea, Plesiosauridae, or Plesiosaurus? With all these similar sounding names it is not surprising that laypersons and specialists alike may have different concepts of what a ‘plesiosaur’ actually is. Plesiosaurus. This refers to the genus Plesiosaurus. In this case the suffix ‘-us’ is of no significance. Generic names are always italicised. Plesiosauroidea. This refers to the superfamily that includes Plesiosauridae, Elasmosauridae, Cryptoclididae, and others. Animal superfamilies strictly end with the suffix ‘-oidea’. The second (and only) other superfamily of note here is the Pliosauroidea. Plesiosauria. This refers to the higher taxon that includes the superfamilies Plesiosauroidea and Pliosauroidea. It is usually regarded as an Order today, but its rank has varied historically. Orders often end with the suffix ‘-ia, but the strict use of suffixes is not applied beyond the taxonomic level of Superfamily. 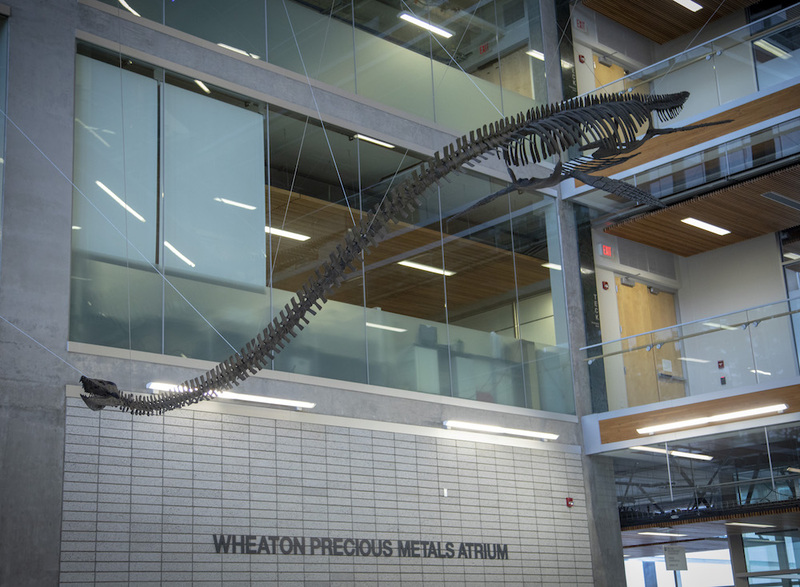 These taxa are nested within each other as follows: Plesiosaurus belongs to the Plesiosauridae, which belongs to the Plesiosauroidea, which belongs to the Plesiosauria. Plesiosaur meaning 1. The word ‘plesiosaur’ is often used to refer to Plesiosauria, the largest most inclusive taxon, with pliosauroids (or pliosaurs) included. In this case, the symmetrical terms plesiosauroid and pliosauroid can be used colloquially to distinguish between the superfamilies Plesiosauroidea and Pliosauroidea. The word pliosaur works well for the Pliosauroidea too here, although it is not symmetrical in this case (note that there is no such group as Pliosauria). 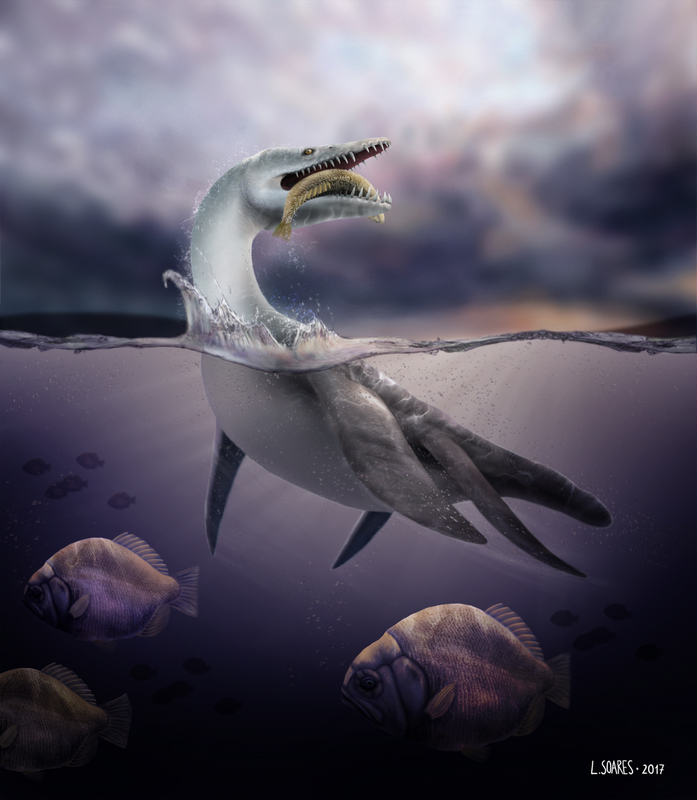 I almost always use the word plesiosaur in this way, this is evident in the title of my website (the plesiosaur directory) and this blog (Plesiosaur Bites). 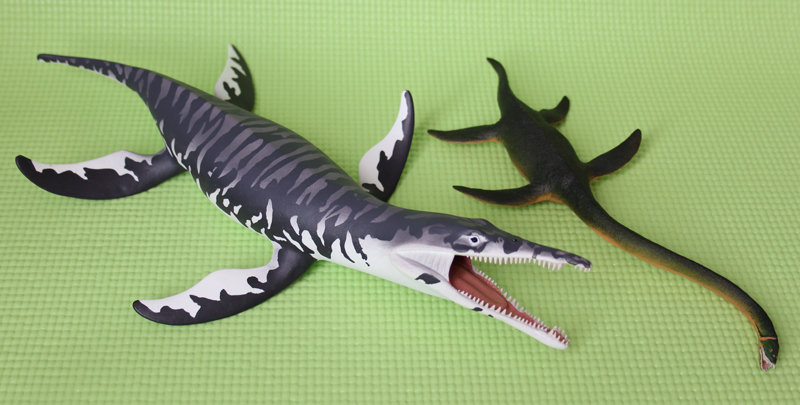 I don’t discriminate against pliosaurs… remember, pliosaurs are plesiosaurs too! Or are they? To avoid ambiguity, the colloquial term plesiosaurian (with an extra ‘n’) can be applied to the Plesiosauria, which would seem to tie everything up neatly. I have started to do this in my technical papers. Maybe I should change the title of my website to ‘The Plesiosaurian Directory’? To summarise, we have two competing colloquial meanings for the word plesiosaur and I’m not entirely convinced one is better than the other. 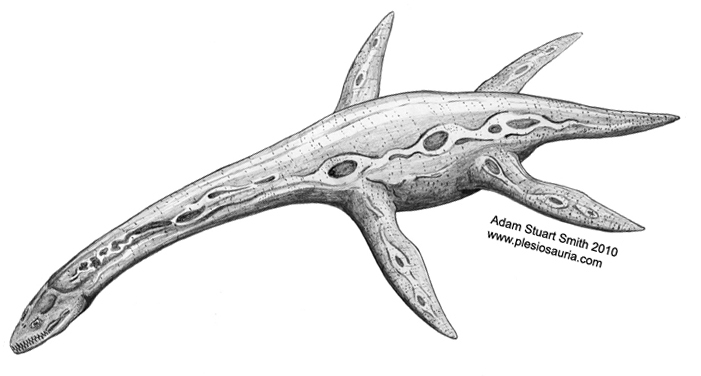 To avoid ambiguity in the technical literature, I and other researchers have started to avoid using the word plesiosaur entirely, favouring instead the words plesiosaurian (for the Plesiosauria) and plesiosauroid (for the Plesiosauroidea). I’m probably making a mountain out of a molehill but I think this is a topic that could do with further discussion. How do you use the word plesiosaur? Which to you prefer? Comments are very welcome!